AMK9 contract K9 teams provide effective deterrence for threatening or unlawful activities and substances at large-scale venues. Hiring K9 teams for high-profile and heavy pedestrian-flow events, schools, prisons, shopping malls and more is the most comprehensive K9 security option available. AMK9 Explosive Detector Dog (EDD) teams provide a strong visible and psychological deterrent against criminal and terrorist threats. 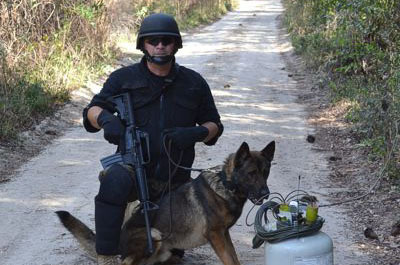 EDD teams are the most effective countermeasure available for explosives detection. 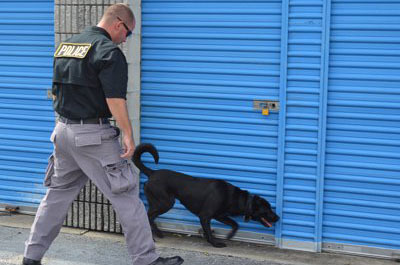 The EDD teams, each comprised of a dog and handler, conduct searches for a variety of explosive materials near building exteriors, secluded areas, security checkpoints, vehicles, packages, and pedestrians in and around assigned facilities. 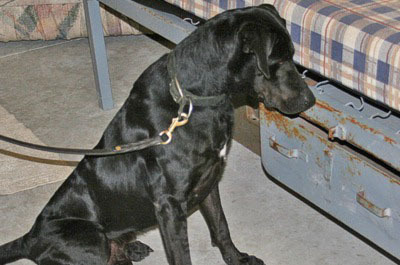 Explosive Detector Dogs are also known as bomb dogs or bomb sniffing dogs. 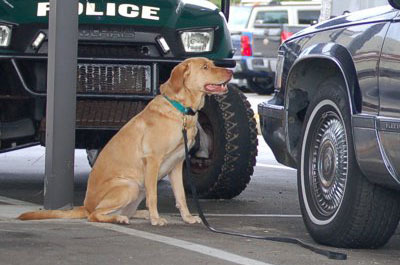 AMK9 is the industry leader in providing drug detection dog teams, also known as drug dogs or drug sniffing dogs. AMK9 is licensed by the Drug Enforcement Agency (DEA) to maintain actual narcotics for use in conducting realistic on-site training. This authorization facilitates our continuous ability to conduct proficiency and reinforcement training under actual operational conditions at any client duty location, any time of the day. This ability affords our clients the utmost level of K9 team proficiency. AMK9 offers the most comprehensive correctional facility contraband detection capability in the industry. Through intense training, our K9 security teams are able to add an additional level of support for all of our clients’ correctional facility needs. The monumental task of screening cargo prior to transport has created new technology with millions of dollars invested into developing advances in sensor technology. Discover our in-depth system that ensures our canines are of the highest quality imaginable. to find out how you can integrate working dog partners into your established security program. “The Leader in K-9 Detection”, and U.S. Canine Biathlon are among the registered trademarks of AMK9®. All rights reserved.